Page 1: Spring is here and so are our outdoor living items. 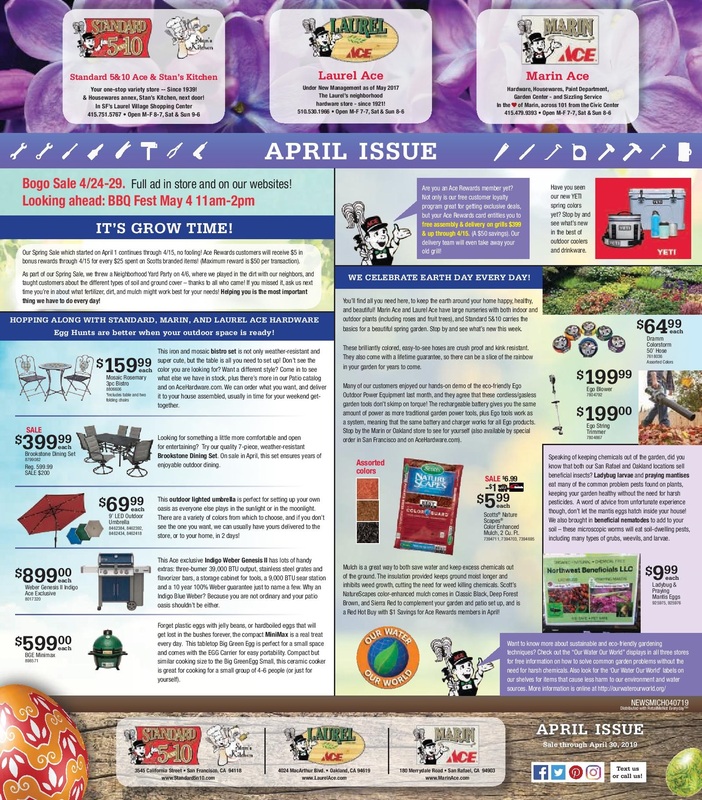 Page one has great deals on outdoor patio sets, Big Green Eggs, LED patio umbrellas, and the new Weber grills. You will also find the new Yeti cooler colors, a good deal on EGO tools, colorful mulch and tons of new plants for our Marin and Laurel customers. There are also new colorful garden hoses, and we talk a little bit about beneficial insects such as ladybugs, praying mantis, and beneficial nematodes. Check it out to get your outdoor space ready for Spring, Easter, and Passover. Page 2: A coupon for $10.00 off keyless entry replication. Standard 5&10 has all your basket stuffers for a great Easter plus all of your Passover needs as well. Dorfman hats are back in stock for your spring bonnet needs. Plus this year we have new ballcaps with our Marin, Laurel, or Standard 5&10 logos on them so you can share a little hardware love. We talk about a new item that lets you become a human hummingbird feeder (really), the Hummer Rings are now in stock. We also tell you about our Paint Studio where we have all of your painting needs plus our new paint choosing tool online. 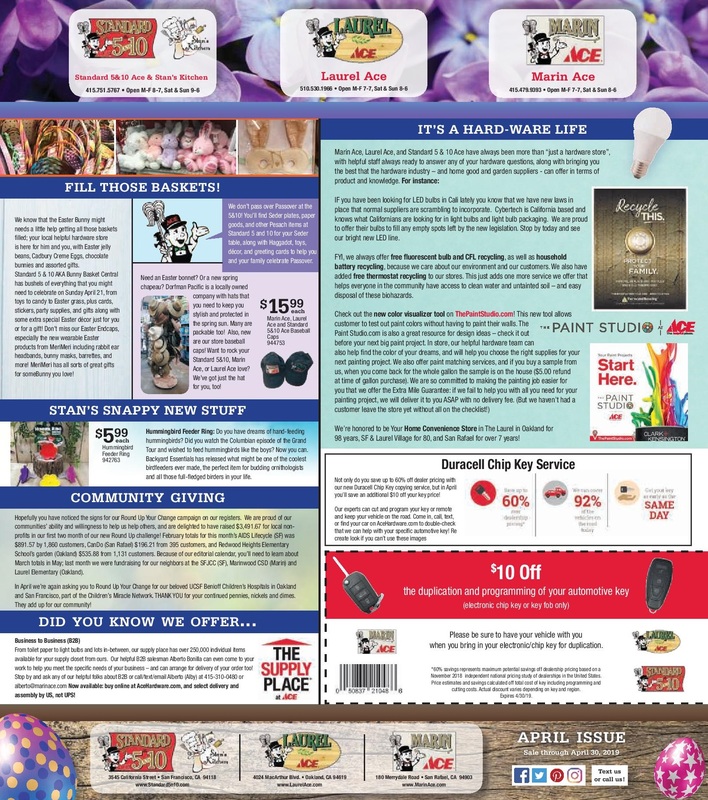 We talk about our new thermostat recycling program, and we tell you about a new line of bulbs we carry, all here on page two.